With a proposal to redevelop part of the Richmond Centre shopping mall in the works, the city wants to hear from you. Details will be on display at the mall from Tuesday (May 22) through June 3. The developer and city staff will also be available to answer questions, and listen to feedback, at a pair of open houses on Sunday, May 27 from 1 to 4 p.m. and Thursday, May 31 from 5 to 8 p.m. A feedback form and background information will also be available on LetsTalkRichmond.ca. 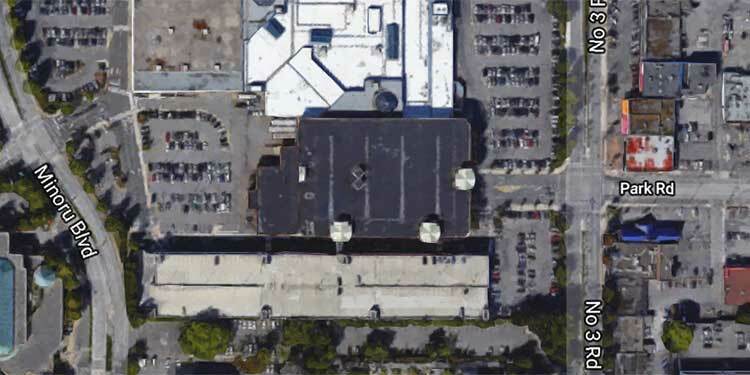 CF Richmond Centre is proposing a two-phased redevelopment of the south portion of the mall. This includes removing and replacing the former Sears building, nearby shops and the existing multi-storey parkade, and adjacent surface parking with a high-rise, urban neighbourhood featuring about 2,000 dwellings, new public streets and outdoor spaces. Two levels of underground parking and 40,900 square metres (440,000 square feet) of new retail space—the latter representing an increase of about 9,290 square metres (100,000 square feet) are also planned. All public feedback will be compiled and presented for consideration by city council.